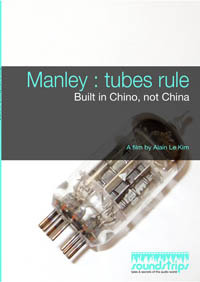 The film starts with EveAnna Manley’s background and then the history of vacuum tube technology including the resurgence of their use in the mid 1980s. Highly linear and therefore not requiring much negative feedback, tubes are shown to be advantageous for the use in audio gear today. But the good people at Manley don’t simply manufacture equipment based around vacuum tube amplifier circuits. I was captivated watching technicians make transformers while EveAnna explained how they tweak the designs to get foot-tapping audio. Manley also manufactures GML, George Massenburg’s solid-state [that means “tubeless” –Ed.] gear. 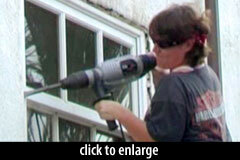 There is something delightful about seeing EveAnna remove a window using a power chisel. “I love working with my hands. I love building tube amplifiers. It all flows together.” We learn that she is just as hands-on with product design, building circuit boards, ordering parts, and testing. This woman knows her business top to bottom. “I’m never asking someone to do something I haven’t done before. Or wouldn’t do again.” The guy who taught her to solder in the 1980s still works with her! 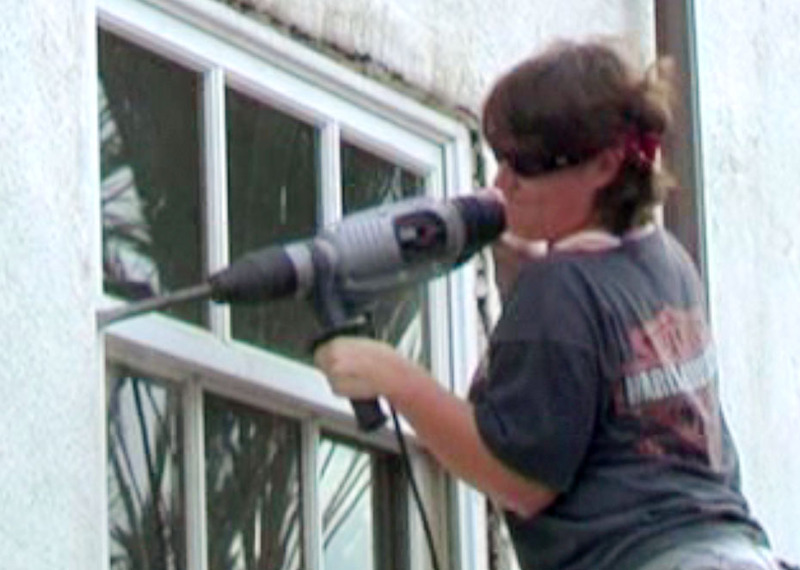 We follow EveAnna around Southern California and meet a cast of characters. As a microphone junkie I took special delight in seeing Jerry Cubbage walk us through the vintage microphone case at Coast Recording. Audio designer Mitch Margolis obviously loves audio electronic design. He takes us on a stroll through the circuit boards, describing individual components and circuits inside the box. The precision and care taken for the product design always come back to sonic integrity. This film is a feast of vintage stuff: boxes upon boxes of vacuum tubes, a truck full of vinyl records, racks brimming with audio CDs, along with the motorcycles and even a cameo by an Apple II. The film is not a big-budget production (I counted microphone booming into the shot at least four times). But in the true spirit of documentary filmmaking, we are treated to a rich exploration of the lengths Manley goes to to achieve high-quality audio. 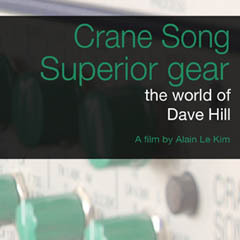 After watching this documentary I am convinced that vacuum tube amplifier circuits offer unique and valuable properties for state-of-the-art audio equipment. And my gear lust is worse than ever. Order your copy of this Soundstrips documentary directly from the filmmaker: Manley: Tubes Rule. FCC-mandated disclosure: Randy received a free copy of this DVD for review. Or, actually, I did, but I sent it to Randy (after watching it myself :)). Randy Coppinger is a microphone slinging coffee loyalist who listens in Southern California. He loves the challenges of music production, sound for picture, game audio and finding solutions to acoustical problems. Randy believes technology should serve art, not dictate it.